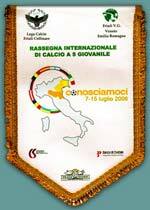 participated in the CONOSCIAMOCI 2007 Tournament. Shalom, friends. We want to tell you a little about the events of the Beresheet LaShalom Foundation. Among the foundation’s activities and projects, the soccer team for the children of the region took part this year for the second time in the CONOSCIAMOCI (“Let’s Get Acquainted”) tournament in Italy. 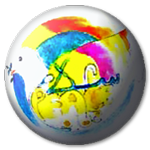 The tournament is unique – its emphasis is on children from different countries and varied cultures getting to know one another; the leading idea is making acquaintance and meeting together in a common experience for all. All the players participate in the game, and not just the best, as usually happens – for the purpose is to have all take part in this popular sport. Here is a fascinating encounter during our trip: Our bus from the airport also picked up the team that had arrived from Melbourne, Australia. 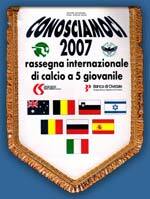 One of their escorts was a Christian Arab woman, born in Haifa, whose grandson was playing in the tournament. She started a lively conversation in fluent Arabic with the children from Gush Halav, to their great surprise! Moreover, most of the Australian players were students at the King David School, sons of the members of the Jewish community in Melbourne. The connection was immediate and amazing. We look forward to participating in next years tournament !